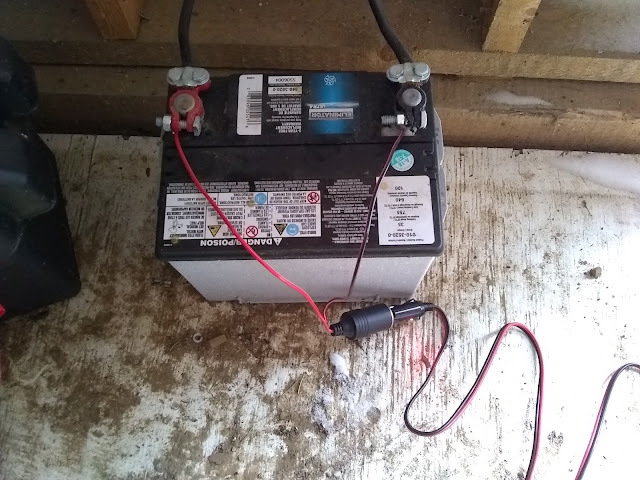 So as I outlined a week or so ago - the ATV has been having some charging issues with the battery. The installation of the voltmeter has been a real blessing - after trickle charging the battery for a day or two, I then disconnected it and let it sit for a few more days, and we were able to watch the voltmeter descent from 13.1 slowly to 12.7, where it seemed to hold for a number of days - reinforcing my opinion that even though the meter was always on, it wasn't stressing the battery much at all. Yesterday the cold spell finally broke and it warmed up to somewhere around ten below. This was my cue to do some more of the electrical work. I drilled out a hole on the back of the ATV where I inserted a 12V barrel socket. Then I was able to hook a fused wired from the positive terminal of the battery to the centre of the socket. With that in place, it was an easy job to hook another wire from the barrel of the socket to the frame of the ATV. I stripped the wires on another socket and just wired them directly to the garage battery. I may try to clean that up in the summer, but for now it works just fine. I had purchased a long, 12V male to male cable (also fused) and plugged it in - and low and behold! 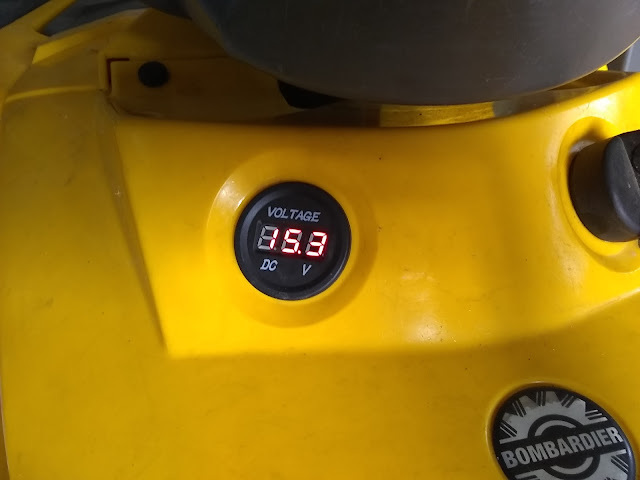 The voltage jumped from 12 to 15V! It works! 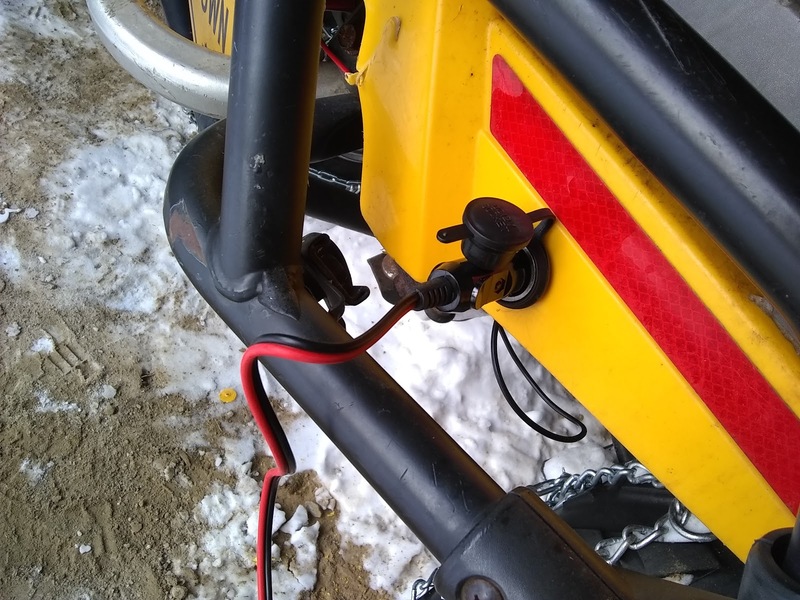 We'll see how it plays out in the long run, but for now, it's a nice way to ensure the ATV is always charged up (even after I replace the regulator), or even to recharge it if it does go low. As well, it will open up the ability for me to use 12V (or even small 120V appliances with an inverter) out in the bush!